This and many more self motivating and positively gingering posts fill the tweetmosphere and Facebook. A quick question, how much of these do the writers have in their personal book(s)? Note that this particularly word (i.e. Journalling) is in continuous tense. And this is because life is progressive and requires that we move along proactively. And a good place to start is by drawing up a blueprint on paper. Do you know that you tend to remember stuff written down seven times more than what you read? Also, writing has a way of making whatever thoughts you are putting down sink within you, such that it strengthens your conviction and shapes the thinking? Do you know you are more organized when you journal? Do you know journalling helps you put things into perspective? 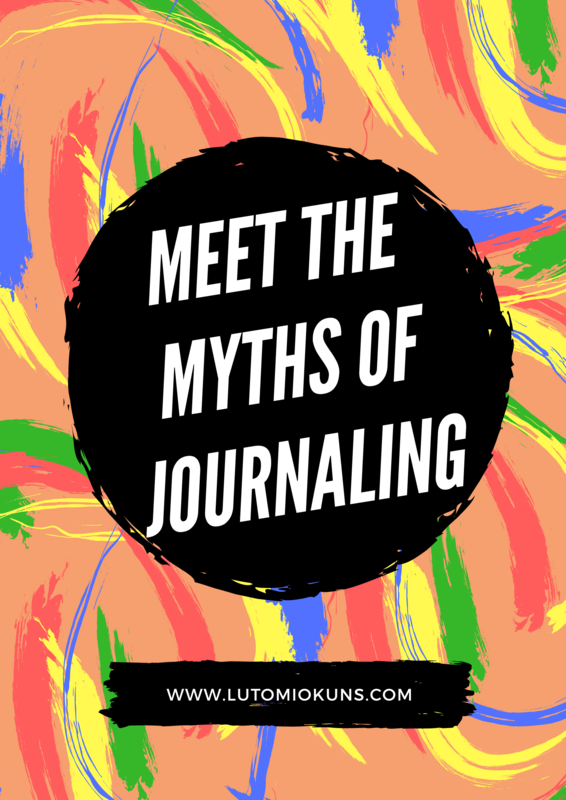 Do you know you can monitor your growth (also compare your life experiences) by journalling? Life is to rich to not live intentionally! 1. It may seem overwhelming at first but the truth is it can actually be fun and not a bore… If you put your heart to it. 2. Get a fancy looking book (preferably a hard cover notebook) dedicated to this cause (Journalling). Fancy colours and designs especially are attractive; they tend to draw you close to the book. 3. Journalling doesn’t necessarily mean writing out a minute by minute breakdown of your day (like how girly diaries are often described). 4. That said, your journal is about you, your life, progress, and so on. So focus on things that really get your attention. •It can be a quote, a phrase… Pen it down… You can add your own words, what you think etc. 5. Take it a step further by writing about your expectations, aspirations, things you perceive about your future. Goals to reach such a future. 6. There are times you’d be on the move and feel like putting something down. It’s alright to write into your journal. (If you are not with your journal, you should draft it on your Phone notebook app… The topic… Or what the thought is about)… This is because, you’d probably forget if you don’t jot it down. 7. 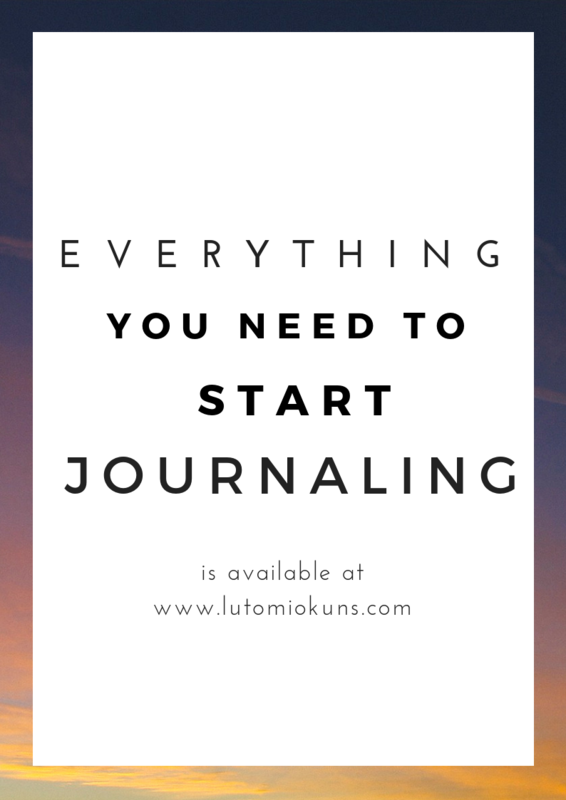 Don’t wait to be perfect about journalling before your start. You keep getting better by practice. Just be spontaneous; go with the flow… There are really no rules. 8. Should Journalling be daily? Not necessarily so for a start but it is usually better to start on this note to at least put something down daily. Or have a specific day of the week to put down thoughts (and keep to the said day). 9. Speaking of organization, always date and give a topic to each important entry. And this is for future sake, for instance you remember maybe a year later that you wrote a thought down but can’t remember where. You can easily look for it by having an idea of a possible topic or the date it was written. E.g. An entry made today might be tagged Good health 24-09-17. 10. OK! if need be, I’d do a sequel probably Journalling 102… (This is a favorite matter of mine, lol). Have a good night and a blessed week.